Each month, “My Better Day” newsletter contains tips for your yoga practice, yoga quotes to bring yoga off the mat and into your life, affirmations to brighten your day and motivate, and more! It is my wish for your well-being that I send this newsletter to help make your day a Better Day! The other day I had the unplanned pleasure of watching a favorite old movie, Apollo 13. I love anything with Tom Hanks in it. I personally consider him to be a modern day Jimmy Stewart—another personal favorite of mine! For those of you who don’t know who Jimmy Stewart is, please give yourself a real treat and watch It’s a Wonderful Life. I was given the luxury of time to experience the full aftereffect of emotions from an absolutely compelling, real-life story while listening to the Oscar nominated music chosen to compliment the mood. The end of anything excellent absolutely deserves the punctuation of time to take it all in, to honor it, to revel in it. I would even go so far as to say that if you aren’t taking the time in your life to breathe in between the moments you are missing out on the full experience—that includes all the moments, not just the ones you deem excellent. I suspect our current mode is to negate the “unproductive” moments as being fluff and dispensable. You have to question the mentality that doesn’t allow for a pause. Something as simple as allowing yourself the time to dwell on what just happened, or is happening, in your life, be it a movie you just experienced or a moment you want to remember—a spacer of sorts—will give you clarity. Once you start to make it a practice to take note of your moments, I promise you they’ll all start to have redeeming qualities. Bring attention to all the things you’ve taken for granted—the smell of fresh coffee in the morning, the hot water in your shower, the sunrise and sunset, the smell of fresh sheets on your bed. Now it’s your turn to add to the list. Take the time to notice your breath throughout the day and it will bring you to the present…to “this very moment”—a mantra I suggest you use throughout the day to “call out” your moments compliments of A Year of Living Your Yoga, Daily Practices to shape your life, Judith Hanson Lasater, PhD., P.T. Yes, “Life isn`t measured by the breaths we take, but by the moments that take our breath away. ~ Hilary Cooper.” But in both instances, breath is required. We’re so used to having one more thing squeezed into every last second that we no longer take for granted that it’s not only okay to sit in repose, it’s downright healthy! When was the last time you stepped off the fast track? We don’t take times like this like we used to. We rush off to the next thing on the agenda with people to see, places to go, things to do. Where’s the balance? Every inhale needs an exhale. It doesn’t just ask for it. It must have it. Without the exhale, the inhale won’t happen and vice versa. All of your output requires time to regenerate, or you’ll break. Maybe not today, maybe not tomorrow, but you will burn out if you don’t take the time to be still—to be in repose. Being in a hurry doesn’t get more done. On the contrary, it dims your awareness so that your life becomes a blur. Allow time to expand by taking a luxurious pace and see how being centered and focused within the moment not only stretches the time you have, but makes you more productive. Research is documenting that taking time to be still, meditate, be mindful—whatever label you want to put on it, contributes to our well-being. When did contributing to our well being fall on to the back burner? Ah, there’s that word “meditation”. The second you hear it I’ll bet you’re thinking “no way! I don’t have time for that!” I’m not suggesting you incorporate more time than you already have. Yes, that is a “trick” comment, because, of course, we all have the same 24 hours each day, don’t we? If calling it “meditation” stops you dead in your tracks, why not consider it “mindful moments”, or whatever makes you open to the idea that increasing reflective pauses in your life will make you not only healthier, but happier. Be unconcerned about any rules and regulations you attach to the concept of “meditation”. This will be your joy! I promise! Do you consider reflective moments daydreaming? I love to legitimize what some consider “foo-foo fluff”. Do you consider Einstein “fluff”? I think not. I used his status to remind you that Einstein developed his theory of relativity through a dream when I introduced the concept of “dream messages” back in my March 2010 newsletter (http://betterdayyoga.com/how-better-day-yoga-got-its-name-from-the-march-2010-newsletter/1162). The documentary on Einstein’s theory of relativity on the History channel introduced me to another definition for “daydreaming”. He referred to them as “thought experiments” and this was how he developed his theory of relativity. What monumental, perhaps life changing idea are you squelching by not being open to reflective pauses? • Mental transformations and thinking processes become more organized as the result of meditative calmness and the influence of refined states of consciousness. • The body’s immune system is strengthened and physiological functions are encouraged to be more balanced and efficient. • Biologic aging processes are slowed. Older, long-term meditators are mentally and physically younger than their calendar years might suggest. • Stress symptoms are reduced. The nervous system is refreshed and enlivened, allowing awareness to be more easily processed through it. • Regenerative energies are awakened. These, directed by innate intelligence, vitalize the body, empower the mind, and have restorative and healing influences. • Intellectual skills are improved, causing delusions and illusions to be dispelled. Intuition awakens, allowing us to directly know whatever we desire to know and to experience a vivid sense of unerring inner guidance. • Appreciation for living is enhanced. • Innate spiritual qualities awaken, enabling us to be more insightful, and functionally skillful. Re-read the list above—intellectual skills are improved and your thinking processes become more organized. You’ll be more efficient so you’ll have more time to do whatever it is you want to do (and make up for the time you think right now that you’ll be wasting if you start a meditative practice)! Einstein was working six days a week as a patent clerk when he found the time to develop his first groundbreaking theories. Oh, and he also had a new wife and child. Ready to try some “daydreaming”? Another treasure from the list above—Biologic aging processes are slowed. Older, long-term meditators are mentally and physically younger than their calendar years might suggest. Think you’d like to try the quick-fix methods out there for youth enhancement? Why not save your dollars and try a few minutes of quiet time? And if you “only” notice that adding reflective moments into your life makes you appreciate your life more (another beauty on the list), then would you consider this an honorable goal? Are you “in”?! Even a few minutes a day reaps benefit. Once you start to incorporate contemplative moments into your daily realm, you’ll notice that time expands. Trust that it will. My “Meditation on the Go” section has been giving you some ideas of how to take baby steps into the meditative world. You don’t have to jump into more than a few minutes a day. As a matter of fact, it’s better to start small, see the benefits, and build from there. Try it on for size. Just like anything, the more you can ease into something, the less chance you’ll start off like gangbusters and then decide it’s just too much or too hard. Remember your New Year’s resolutions? I don’t have to remind you of the percentage of people who’ve forgotten them by week number two. The amazing Simple Abundance, A Daybook of Comfort and Joy, by Sara Ban Breathnach, has been a frequent companion of mine as I “come to the source” each morning to fill my cup for the day. The following is one of my absolute favorite readings since it heralds the beginning of September and speaks to the September doer in all of us. I’ve copied it for many friends since I find it so inspiring. It’s called “Turning over a new leaf”. Enjoy! “Since ancient times, September has been viewed as the beginning of the new year, a time for reflection and resolution. Jews observe the High Holiday of Yom Kippur, the day of public and private atonement, a sacred withdrawal from the world for twenty-four hours in order to become right with God and others, so that real life might be renewed with passion and purpose. It seems to me that January resolutions are about will; September resolutions are about authentic wants. What do you want more or less of in your life, so that you can love the life you’re leading? It could be as simple as seeing friends more often, setting aside time to have adventures with your children while they still want your companionship, rekindling romance in your daily round, calling a solitary hour a day your own (perhaps to add a meditative practice? ), or just taking more walks in the dazzling sunshine. Remember change is meant to be different by its very definition. It’s meant to transform you in some way. You have to acknowledge that something in your life is going to change to introduce meditation/mindfulness into your life. If you’ve been stressed lately, you may intuitively know that you need “something” in your life to introduce calm—that’s a start. The power of your transformation is formed by your initial intention. So set that intention now. Commit to doing “something” for 28 days—the time it takes to create a habit. Commit to bring something new, something healing into your life. Yes, it can be that simple. The next time you find yourself worrying or over thinking, simply make an effort to breathe courage and confidence in. You may not know “how” to breathe into your “aura”. No matter. Trust the feeling that you generate when you breathe in what you believe to be courage and confidence. Who said someone else had to be the expert on how you breathe in? Enjoy! Last week found me at the Grand Tetons for the first time. Anyone who’s witnessed this awesome gift of nature will know why they inspired me to focus on mountain pose this month. I have never felt more grounded than while viewing this breathtaking landscape. Just as you can use mountain pose as your “go to” pose for grounding in your everyday life, mountain pose is the template for alignment of all the other poses. Alignment Cues: Stand at the top of your mat, feet hip distance apart and parallel to the edges of the mat if you’re a beginner, or toes touching for mind/body connection—heels out. Pressing down through the feet, raise the inner arches, lift knee caps, raise the inner thighs (all same cues). Inward spiral the inner thighs—or use a block or ball between the thighs as a prop to facilitate that feeling. Relax the shoulders down away from the ears and roll the shoulders back so the shoulder blades reach toward each other and rest on the back. Keep the ribs tucked in, containing your power. (The Solar Plexus area is the home of the third chakra, our willpower and our “sense of self”.) Roll the tailbone down toward the floor while simultaneously reaching the pubic bone toward the tail bone creating space in both the front and back sides of the body. or held in prayer/Namaste position see below for more on prayer/Namaste position). interlaced fingers with palms up to the sky for a nice stretch. Other options not shown would be to grasp opposite elbows behind the back for another heart opener. The possibilities are endless! Have fun with it! Adding a block or yoga ball between the thighs just above the knees a couple inches (also not shown) is an excellent way to facilitate the inward spiral of the thighs and promote more grounding, activating the root chakra. Beginner’s tip: You can check your alignment by placing your back against the wall. Stand with the backs of your heels, sacrum, and shoulder blades touching the wall. Apply the alignment cues. You shouldn’t be able to get your fist behind your back—Fun to try to do before and after the alignment cues. Option to close your eyes to focus inward, build balance and breathe. Rock back and forth from your heels to toes for several minutes. “Posture: Why is good posture so important? It’s pretty simple. When the spine is properly aligned with its natural curvature and the entire body – from the ears to the shoulders to the hips, knees and down to the ankles and feet – is in balance, we maximize spine health and avoid poor posture-related pain and dysfunction. Ideal posture creates ideal balance; it also optimizes breathing and circulation. And shouldn’t we all want to achieve that? “Let’s talk about mountains: You start climbing one, you toil, you sweat, and finally you reach the top—and what do you get? Well along with a sense of accomplishment and peace, you get a great view of the next mountain—looming, challenging, calling your name. Enjoy the current view, and be for now, for you. Then when you’re ready, put on your backpack and start back down the mountain, one step at a time—since that’s all you can do. This walk never ends, you know. There’s always another mountain. That’s what makes life so thrilling and you breathless. There are days, there are times when you feel like you walked so far, when the voice inside you is complaining that it’s all uphill, that it always will be. And then, after all that, way beyond your blue horizon you see the biggest mountains you’ve ever climbed and you think..”I can’t do that.” Well I hope you always have somebody who tells you that you can, like I’m telling you now.” (I Hope you Dance Journal by Mark D. Sanders & Tia Sillers). Pavarati is the Hindu Goddess of the mountains who just happens to be the mother of Ganesh—remover of obstacles. As in many religions, and life, the way to the son is through the mother. So evoke Pavarati in Mountain Pose to create positive changes in your life—perhaps by removing any perceived obstacles. Humans share many things, including the urge to call on something greater than ourselves. We may invoke the heavens through astrology, meditation, the arts or science to understand our relationship with the Cosmos. That is why prayer is so powerful…we are looking to tap into the Unknown for guidance, for answers to Life’s difficult questions. Select a period of time (such as five minutes) or discrete experience (such as walking to work) for playing this game. Bring your attention and awareness to your breathing. The main goal of the game is to count how many complete breaths (inhalation and exhalation) you can follow mindfully before becoming distracted. Give yourself one point for each breath cycle. Continue breathing and giving yourself points until your mind wanders away from your breathing. As soon as you stop focusing on your breath, the game is over. Play as many times as you like and try to beat your score. How high can you go? Can you reach the highest level, nirvana? If you found the above interesting, please consider taking my meditation “how to” classes. Visit my Web-site, www.betterdayyoga.com, for details. If you are familiar with chakras, then you can tell from my logo that I love chakras. The rainbow-colored spheres within my logo are representative of the chakra system within the body. If you are unfamiliar, here’s a quick lesson: There are seven energy centers called chakras (literally “wheels”) that store energy/life force/prana. They are along the spinal column and correlate to major nerve ganglia branching forth from the spinal column. Each has a different relationship to a gland in the body’s endocrine system. Each stimulates different organs and systems in the body. Hatha Yoga activates these energy centers releasing the energy that flows through the spine. Yoga helps these energy centers/nerve bundles to function correctly clearing blocks that may be there. Each chakra also is associated with a mental/emotional focus. In each newsletter I’ll highlight how you can work with a particular chakra to correspond with the season. This month I’m resolving a question about the heart chakra that I have dwelled on for a few years. In my May 2011 newsletter, I mentioned that I was told once by Cyndi Dale, a local but internationally known chakra energy expert, that in matters of my heart chakra, if I could figure out how to add pink and gold to the green color there, it would help. She prefaced it with, “I know this may not make sense right now, but..” This was said during a 15-minute break in a presentation at a class she was presenting and I was in a long line of those waiting to ask her a question. So I didn’t push for more. I didn’t want to abuse her time. After all, I’d paid for a class presentation and not a one-on-one! No, I didn’t schedule that one-on-one for various reasons, but I’ve dwelled on what she told me many times. I had been familiar with pink being another color for the heart chakra besides green, but I wasn’t aware of a different interpretation for the meaning of that color in the heart chakra. I also had not heard of gold being a heart chakra color. I used The Secret Language of your Body, by Inna Segal to uncover the meaning of the colors pink and gold in that newsletter. It wasn’t until I “consulted” an old deck of cards I hadn’t worked with in awhile that I really felt a click that answered, for me, what Cyndi might have been referring to. See my “Featured Deck” section below. I am a bit of a collector of decks of cards to connect with the messages the Universe might be trying to tell me. This month’s “Featured Deck” is The Harmony Angel Cards deck by Angela McGerr, and has been in my possession since before we moved to Minneapolis over 16 years ago. I own a couple of her books as well. Excellent author! The Breathwork/Visualization chosen below is from the book by her of the same name. What a beautiful book! The illustrations alone are worth the price of the book! “The green chakra represents love of a personal nature, i.e. of partner, friends, and family. Perhaps this has been closed or damaged by rejection or loss. The angels help you resolve pain with forgiveness, reopening and healing the green chakra, enabling you to move to the magenta chakra. This encompasses pure, universal love, which has no self-interest but merely seeks to serve all life. When you can feel universal love, you ignite your heart’s ember into a magenta flame, which soars heavenward to reconnect you with the golden (Maitreya) ray of divine love. This love flows back to your heart, into your innermost consciousness, opening the gateway to Higher self and filling you with joy and bliss beyond imagining.” The Harmony Angel Cards deck by Angela McGerr. I always personally, perhaps intuitively, interpreted Cyndi Dale’s suggestion to mean exactly the above. I’ve visualized pink and gold in my chakra energy work as I say the affirmation/mantra “People’s lives are made better by my efforts” since it is my goal to do so with the work I do. This was a great confirmation for me. One site says the magenta chakra is connected to the crown chakra and allows a connection to your personal guides and your Higher self. http://www.eaglespiritministry.com/pd/sdc/sdc3.htm. While yet another says the magenta chakra is the crown chakra—The Magenta chakra is your spiritual connection. This chakra links you to the cosmos so you can reach your higher potential. It is the energy of knowingness and enlightenment. http://www.reiki-healinghands.co.uk/pages/what-do-you-know-about-your-chakra-system.php. It’s interesting that some consider the crown chakra to be gold. There’s that connection between magenta and gold again! I love synchronicity! Allowing the Universe to work through you gives you more creative energy. Believing that it’s all up to you depletes you. Believing that you have access to all the energy you’ll need when you have the best interests of others at heart—that’s using your magenta energy. Notice I used the term “at heart”? I believe the magenta heart chakra really is an extension of the crown chakra. The crown chakra is about being one with the world. How better to do that than to serve the world—“to serve all life” as the angel card described the magenta heart chakra? When you have the best interests of others at heart—this is the “pure, universal love, which has no self interest but merely seeks to serve all life”. You can shine as bright as you want when your shining brightens others. The Universe will support your every effort when your goal is to benefit all of life. This is one of the Universal Laws. It can be no other way. Quiet contemplation, meditation and yoga are ways to incorporate magenta energy into your life—a continuing theme from my opening section. I don’t have to tell you that yoga and meditation are very important parts of my life. I spoke about the benefits of meditation in my opening section, and my newsletter is dedicated to the benefits of yoga. Do more yoga. “If you practice yoga once or twice a week you will change your day; three or four times a week, you will change your body; five or more times a week, you will change your life.” ~ Unknown author. This visualization can be enormously helpful in dealing with either family quarrels or people who regard you as their problem solver. Often in life we are at the receiving end of negativity; this is particularly relevant to those of us who are good listeners. There are those (often relatives or close friends) who are full of strong emotions, such as anger, bitterness, or sadness, and who therefore need to unload their feelings in order to feel better. There are others who are merely rather unhappy or unfulfilled people, who want to whine about their pessimistic lot in life to someone who will listen, and then there are people who are simply rather pessimistic by nature about anything and everything. There are people who always see half a glass of wine as half-empty rather than half full. Whichever of the above may apply in your case, the result can be that after you are in the company of such people for a while, they may indeed feel better after talking to you, but you feel dragged down by their negativity. This can be very damaging to your own energy levels if allowed to continue over a long period of time, and if the person is a member of your own family, you may not be able to escape. This exercise not only will help to prevent such damage to you but also, if practiced over a period of time, will start to engender a more positive attitude on the other party. When you are the victim of an argument or other negative conversation, imagine a large but invisible circular mirror between yourself and the other person. The mirror faces toward your companion, and because you create it with love, it reflects back pink light representing the power of your love. When the dark, negative energy reaches this mirror, it will not be able to penetrate through to reach you, and at the same time it will be converted by the love you have placed inside the mirror and then reflected back as, positive energy to your companion. The Universe is conspiring for my full expression! I live a life filled with peace, passion, and joy! I am a reflection of joy! Today I can climb a mountain! I am energy uplifting my own heart—I know that my strength is limitless and will never fail! Diet and the Heart Chakra: Green tea, green leafy vegetables, apples, basil, oregano, parsley, among others. Aromatherapy and the Heart Chakra: Lavender, Jasmine, and Magnolia. Gem therapy and the Heart Chakra: Gemstones amplify the energy when placed in contact with your chakras. For those of you unsure on this subject, consider that it’s scientifically proven that everything is energy. Nothing is really solid. Why wouldn’t the energy of a stone work effectively with the energy in our bodies just as some research speculates that the energy of computers, cell phones, and microwaves may affect our bodies? At the very least, I find that holding a favorite stone is like a talisman for me, or a “worry stone”. As my favorite author, Wayne Dyer, likes to say, “If it’s a placebo effect, I’ll take two”. Some Heart Chakra gems are: Malachite, Green Tourmaline, and Jade. Magenta stones would be Quartz Crystal, Ruby, WatermelonTourmaline, Rose Quartz, and Opal. Bathe in the magenta color in your clothing; breathe in color, decor, art, etc. All yoga poses are essentially grounding and activate the chakras. Some heart chakra-specific poses would be: Bow pose, Camel pose, Hanuman pose, among others. Since this month’s newsletter opened with mindful/meditative moments and also highlighted mountain pose for grounding and focus, this mudra literally jumped off the page volunteering to be this month’s focus mudra! Enjoy! Reduces the distractions (clutter and chaos) of your mind and help you concentrate on one issue. Mudra: Sit straight and tall. Bring your hands together; palms up. Touch the backs of your fingers together. Make a circle with the thumbs and index fingers of each hand, with the index fingers resting lightly under the thumbs. Keep the other fingers straight up and touching. Rest hands on belly. Breathe deeply and slowly for 3 minutes. Source: MudrasAncient Gestures to Ease Modern Stress, by Emily Fuller Williams. I chose this months deck because it answered a long-standing question Id had about a quick chakra reading Cyndi Dale had given me. See the Chakrascope section above for more. This deck refers to a second heart chakra thats magenta. I had pulled the Sacred Lotus Flower Card which Im highlighting below. I found a second card referencing the magenta heart chakra and am highlighting that as well for emphasis. The art on this deck alone is inspiring, as you can see. The authors insight is priceless. I show both the back side (the “suit”) of the cards as well as the beautiful front sides and then give you the description of the cards from the accompanying book. Legend has it that the lotus was the first flower to beautify the earth; it is therefore considered sacred. Rooted in earth, growing in water, and opening each morning to air and sun, the flower links to all four elements and because part of its mystery is hidden, it also represents quintessence and ancient wisdom. It is also a symbol of spiritual rebirth and eternity, the key to which is the love in your own heart. There are two heart chakras, and you must work on these chakras with the help of Pistis Sophia and Haniel. The green chakra represents love of a personal nature, i.e. of partner, friends, and family. Perhaps this has been closed or damaged by rejection or loss. The angels help you resolve pain with forgiveness, reopening and healing the green chakra, enabling you to move to the magenta chakra. This encompasses pure, universal love, which has no self-interest but merely seeks to serve all life. When you can feel universal love, you ignite your hearts ember into a magenta flame, which soars heavenward to reconnect you with the golden (Maitreya) ray of divine love. This love flows back to your heart, into your innermost consciousness, opening the gateway to Higher self and filling you with joy and bliss beyond imagining. Haniel, Angel Ruler of Friday, Venus, and the Emerald and Magenta Rays. Haniels card teaches that there are two kinds of love and so two heart chakras in ou7r body. The first is love of a personal nature, the love you have for a partner, friends, family and yourself; this is strengthened by Haniels emerald ray which powers the green chakra. Jade can help to balance relationships and heal quarrels, while malachite defuses situations. The other love is the magenta ray of unconditional love and compassion for all things on Mother Earth, whatever their faults, as made by the Creator. It does not judge and has no limits. It radiates to and from the pink heart chakra of universal love, bridge between Lower and Higher self. Haniel suggests you heal your heart with these rays of love by appreciating the beauty within yourself and all things. Increase self-fulfillment through finding ways of expressing love, and celebrate your existence by creating your own form of beauty around you. Let this beauty infuse your spirit, choosing rose quartz or tourmaline to enhance this loving energy, so that it surrounds you with calm and lights you with radiance from within, inspiring others to want it for themselves. Haniel reminds you that Love is all you need. Description: This Angel Card set was first published in 2002 and is as valid today as it was then. It’s for those who wish to start to change their lives by working with angels every day, in other words to seek spiritual expansion through communing daily with angels (the principle of Angelology). Can be used on its own, or with the later card sets (Heart & Soul and Love & Light) for more profound and deeper guidance. A reading with the Harmony Angel Cards will give you future direction if that is what you seek. However, more importantly, it will show you the way to heal problem areas for yourself and your loved ones, paving the way to spiritual development, so that you can make the connection from your Lower to your Higher Self by opening your heart to unconditional love. There are 48 Harmony Angel Healing Cards divided into four suits of 12. Each suit comprises a special master card, plus eleven other cards. You can choose various layouts involving some or all of the different suits. Several spreads are detailed, showing one card, three and four cards, the sacred seven and finally the sacred twelve spread. Remember that when invoked from the heart with loving intent the angels will bring their special energy to you, to help you towards physical and spiritual wholeness. This involves healing and harmonizing all body energy chakras. Another way of saying this is that any healing required in your Lower (physical) Self should be addressed before moving towards healing your heart chakras, which in turn are the bridge to your Higher (spiritual) Self. This may take a little time and practice, but the more you open towards universal love and angelic energy the more you will receive. Making the Higher Self connection integrates you to the collective consciousness or the All, bringing you into a state of inner peace to which you can always return..
“York University researchers found last month that practicing yoga helps balance the stress hormone cortisol enough to ease the pain of fibromyalgia sufferers. Just imagine what it could do for that undiagnosed pain in your a**. Study participants practiced 75 minutes of yoga twice a week for 8 weeks and reported significant reductions in pain and associated symptoms as well as psychological benefits like feeling more accepting of their condition, more hopeful, and less helpless. If yoga can make a chronic disease seem manageable, what else might it make seem easier?” (September 13, 2011 Women’s Health Yoga Connection email http://www.womenshealthmag.com/newsletter). Prepare the eggplant before assembling ingredients, by cutting them into 2 inch chunks and putting them into an extra large bowl with salted water to cover. This will draw out the bitterness from the eggplant. Let this sit for about 3 hours. Cut the potatoes, green bell peppers, onion, squash and tomatoes into 2-inch chunks. Cut the green beans and mushrooms in half and peel the garlic cloves. Drain and rinse the eggplant, then combine it with all the other chopped vegetables, the dill, oregano and basil and place all into a 3x13x18 inch roasting pan. Pour the tomato sauce and olive oil over all. Bake at 375 degrees F (190 degrees C) for 2 1/2 hours, adding a little water about halfway through cooking time to keep moist. I found this wonderful healing CD at my old stomping ground off State Street in Madison, WI at Shaktis. I thought it was the perfect CD to carry on the theme of centering and grounding using the analogy of a mountain. For over three decades, New Earth Records recording artist Deuter has been merging influences, blending genres and shifting musical paradigms on a global scale. Born in 1945 in postwar Germany, Deuter studied the flute, taught himself guitar and just about every instrument he could get his hands on, though it wasn’t until after a near-fatal car crash in his early twenties that he decided to pursue a career in music. His first release in 1970, simply entitled “D,” was to become a modernist classic. “D” marked the beginning of Deuter’s spiritual and musical journey, ostensibly paving the way for a new genre of music known as “New Age,” which combined acoustic and electronic elements with ethnic instrumentation and nature sounds, such as whale and bird song, the open sea, wind in the trees, et cetera. Over the years, Deuter has continued learn and master a vast array of instruments, including the drums, the shakuhachi flute, the koto, sitar, Tibetan singing bowls, santoor, bhuzuki, piano and keyboard. He’s recorded and released over 60 albums and has sold too many records to count. All the while, Deuter has never ceased to explore new frequencies and resonances. “One thing that is important for me is that I love dancing on the edge of the unknown–to play around and open doors I haven’t walked through before,” says Deuter. It is this very outlook that has kept him at the forefront of musical evolution for over 35 years. Deuter lives and works in the mountains outside of Santa Fe New Mexico, creating the contemplative, healing music he’s become known for today. His most recent albums include “East of the Full Moon,” two bestselling recordings of Tibetan singing bowls, called “Nada Himalaya”, as well as 2003’s “Earth Blue,” a collaboration with Volkswagen for their Autostadt exhibition in Wolfsburg, Germany. 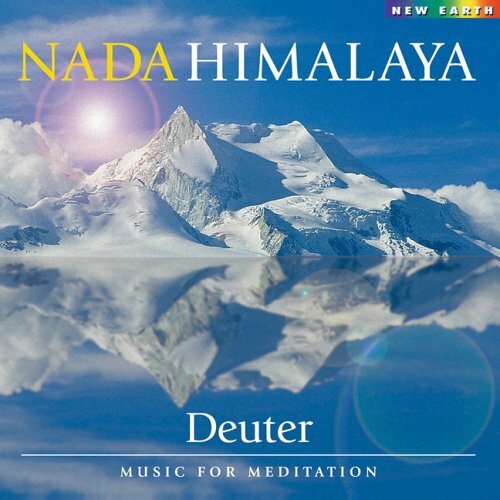 Deuter’s masterful meditation music echoes the pristine essence of a Himalayan retreat by integrating Tibetan bells and bowls, chimes, and the natural sounds of a mountain stream. Expanding reverberations and overtones meld in perfect harmony. Class Description: Learn how to de-stress and rejuvenate with several basic types of meditation including general awareness, breath, guided meditation, object focus meditation, and more! Come learn how to use your breath to center your mind, experience a guided visualization, start to develop your own meditation practice that works for you, and receive several take-home practices. While this class is broken down into two evenings, each evening can serve as a stand-alone class. Fridays, September 30 and October 7 at 6:30 p.m. $30/night prepaid or save $10 and prepay for both parts for $50. Advance on-line registration required. Registration deadline the Thursday before each class night. Please click http://betterdayyoga.com/home/products/services to register. This class is also available at my Little Canada studio location. Tues. PM at 7:00  8:30 PM pending 4 person minimum. Please call to check for availability of the Tuesday of your choice. Yogamint (the focus of last month’s newsletter) has invited me to write a series of articles on numerologys influence in our yoga practice and our lives! Stay tuned for a link to the first of the series! Don’t run through life so fast that you forget not only where you’ve been, but also where you’re going.